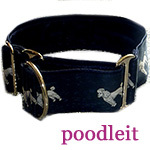 Poodle Blogger: Please Visit Our Sister Blog! First of all, thank you, thank you, thank you to Charlene Dunlap for allowing me to share Joey's Journal on this blog. I hope to catch up with his journal entries this weekend so that more of his engaging photos and adventures can be shared with you. Secondly, I wanted to make sure that Poodle Blogger readers know about my other blog, which is full of articles concerning dog training and dog rescue, as well as personal stories people have shared about the special dogs in their lives. I would love to have a story about your favorite dog to share on either of my sites. Coming soon...short video clips that anyone can access for free on the Knowing Dogs blog site, to show you how to teach your dog basic obedience commands, as well as how to solve common problems such as pulling on leash, jumping up and playbiting. Perfect for busy people who just don't quite have time to go to obedience classes, or for dog owners on a budget who may not currently be able to afford the services of a private trainer or behaviorist. What is the biggest difference in Knowing Dogs and other dog trainer's websites? I promise to give you EVERYTHING...my websites are not developed to bring in local training business, so I am not giving just a touch of info in hope that you will pick up the phone and call me for an appointment! My life is such at this point that I am no longer doing in-person behavioral consultations, but I love dogs and their owners so much, my hope is to continue helping dog owners, dog show folks and rescue volunteers by sharing information through my blog posts, articles, affordable ebooks and free videos. Please come visit me today at www.knowingdogsblog.com!